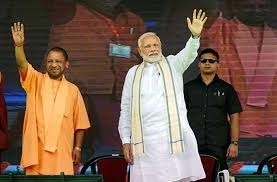 Today Prime Minister Narendra Modi will be in Varanasi today and is all set to announce development project worth Rs 2900 crore. Where he will also inaugurate 31 project which had already been completed. According to PM Office, PM Modi will flag off the first ever diesel to electric converted locomotive at diesel locomotive works in Varanasi. He will also inspect the locomotive and visit the exhibition.